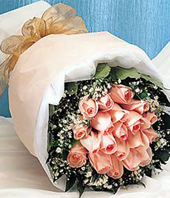 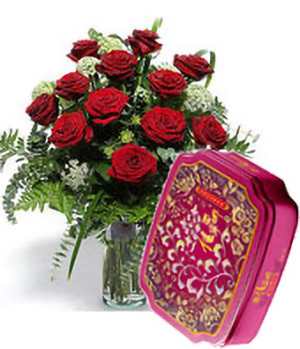 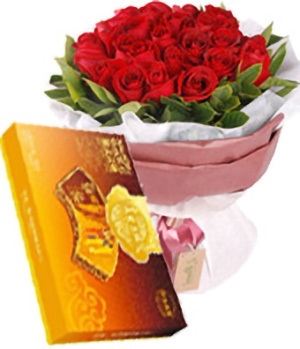 A iron box of local brand mooncakes, 12 red roses, match greenery, arrange in glass vase. 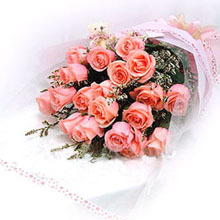 really great service I'm quite happy with, it's very quick I must admit' I hope to do more business with you in the future. 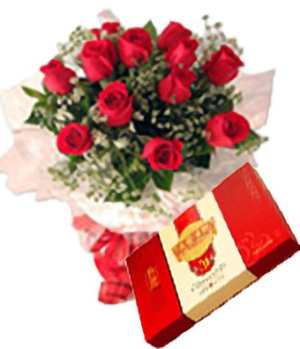 Ordered, delivered....what more is there?